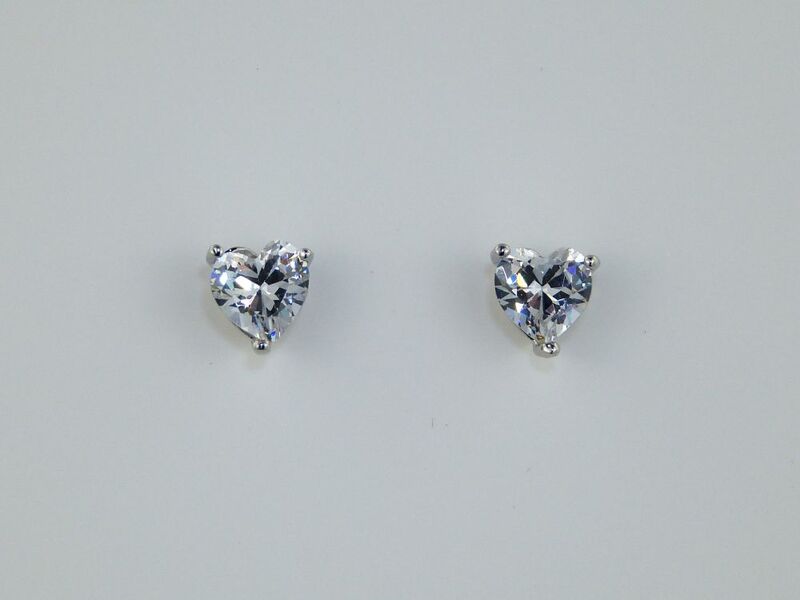 Stunning high sparkle Valentine heart earrings. Rhodium plated for high shine and long lasting wear, these stud earrings feature a gorgeous heart shaped cubic zirconia stone. Beautifully romantic, they would compliment your bridal gown perfectly. 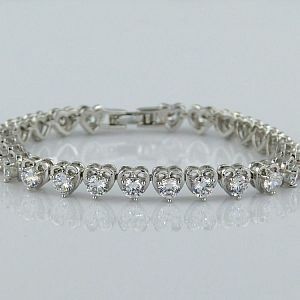 Equally perfect for bridesmaid wear/gifts, or simply as a beautiful piece of jewellery. Complete the look with the matching bracelet and pendant.